"Mad Men's" Jon Hamm to Guest on "The Simpsons"
"The show has ably proven over the first three seasons that people don’t really change their ways," Jon Hamm said recently. The voice may be recognizable, but television's most famous fictional ad man won't be on screen when Jon Hamm guest stars on "The Simpsons" this fall. "Mad Men's" lead is set to provide the voice of an FBI agent who plays Homer's handler when the lovable idiot goes undercover to inform on mobster Fat Tony's crew, according to Entertainment Weekly. 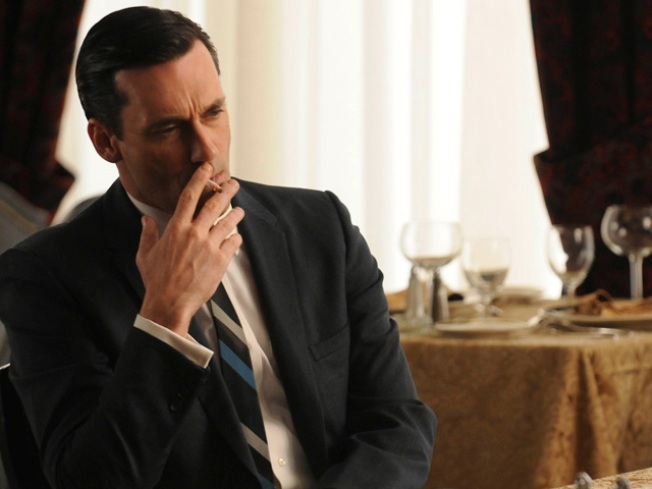 But the dapper Don Draper, he of immaculately cut suits and three martini lunches, won't be around for viewers to oggle. The episode, entitled "Donnie Fatso," will air in December.